Business North Carolina magazine has been honoring lawyers since 2002, publishing Business North Carolina’s Legal Elite listing of the state’s top lawyers in business-related categories. 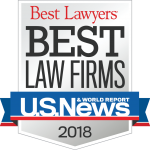 Every year, Business North Carolina sends out ballot notices to every member of the North Carolina State Bar requesting that they choose the lawyers they personally rate among the current best in each category. The lawyer who receives the most votes in a category becomes a member of Business North Carolina’s Legal Elite Hall of Fame. To find out more about the Legal Elite listing, click HERE to visit the website at Business North Carolina.